What a dapper looking fellow this rat with a feather in his hat appears to be. Standing upright and carrying his tail, he looks contemplative as he walks along a garden path. 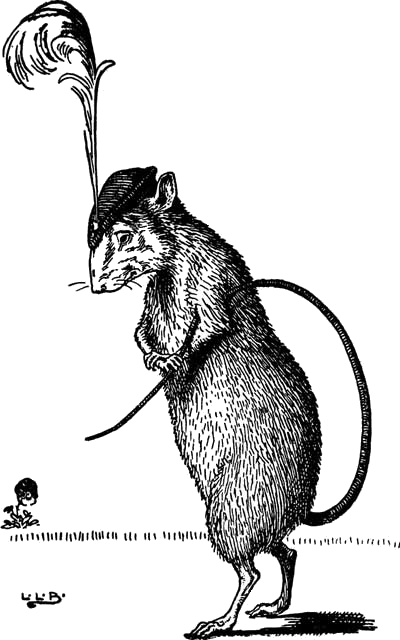 This anthropomorphic rat drawing is one of several fun images of animals with human traits from this book.